We have special offers available on tickets for The Band. With the music of Take That and featuring the winners of the BBC's Let It Shine TV talent search, Tim Firth's musical, The Band, comes to the West End. 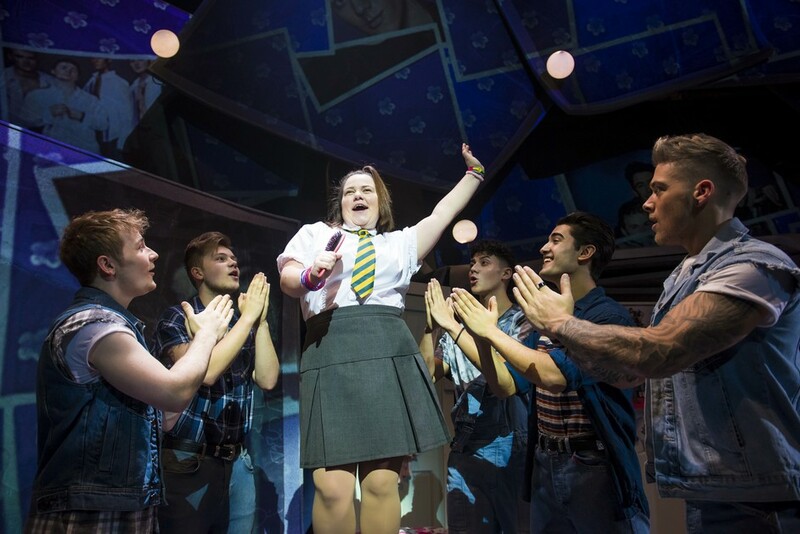 Gary Barlow, Howard Donald, Mark Owen and Robbie Williams have had a hand in producing this stage show which charts the misadventures of five teenage girls for whom Take That's music provides a soundtrack to their haphazard lives. The musical is staged at Theatre Royal Haymarket this Christmas season and shows the five friends, 25 years on, as they try once more to fulfil their dream of meeting their heroes. What are the best dining options near The Band London? The Band gyms, sporting activities, health & beauty and fitness. The best pubs near London The Band. The Band clubs, bars, cabaret nights, casinos and interesting nightlife. Where to have your meeting, conference, exhibition, private dining or training course near The Band. From cheap budget hotels to luxury 5 star hotels see our deals for Haymarket Theatre Royal hotels, including Radisson Blu Edwardian Hampshire Hotel from 89% off.